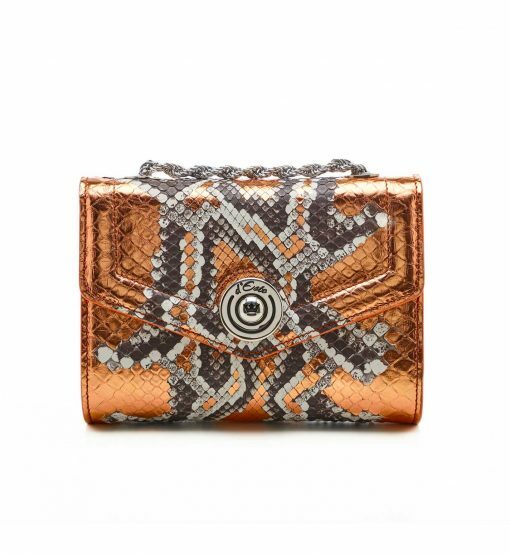 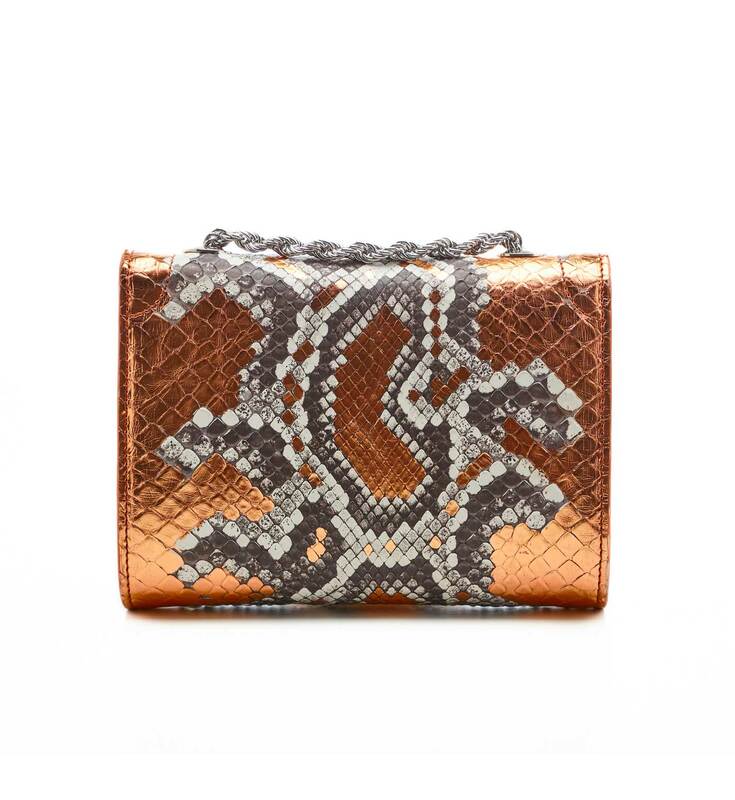 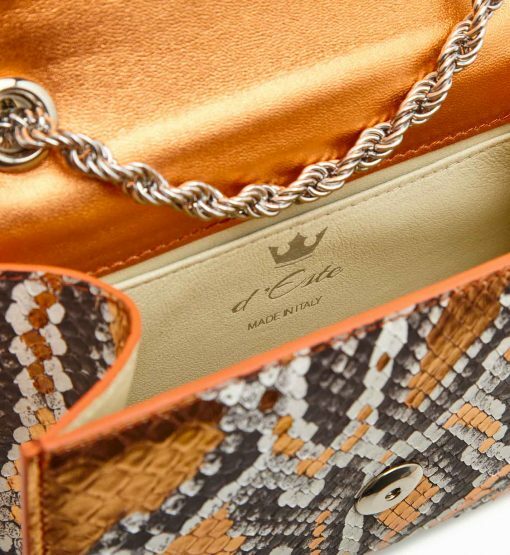 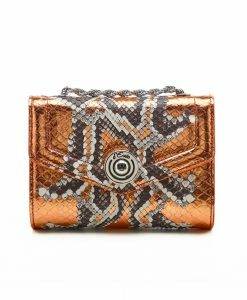 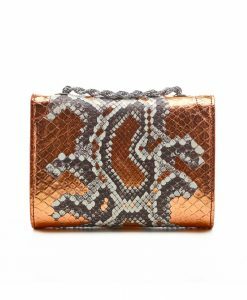 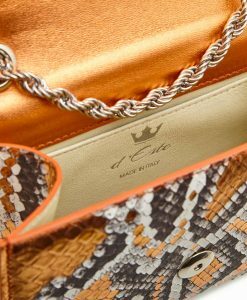 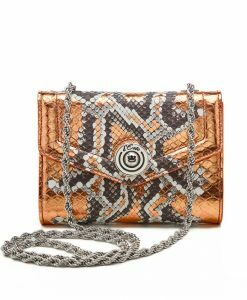 d’Este updates it’s famous Beausoleil model this season – in glossy red gold python with a rare python design. 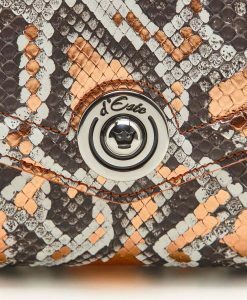 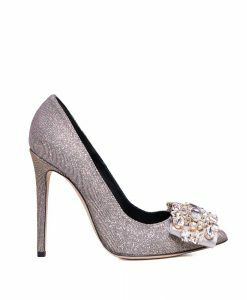 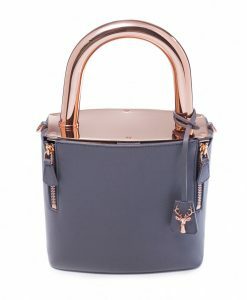 This mini design has been crafted in Italy and is embellished with the label’s signature crown symbol and an exclusive silver chain. 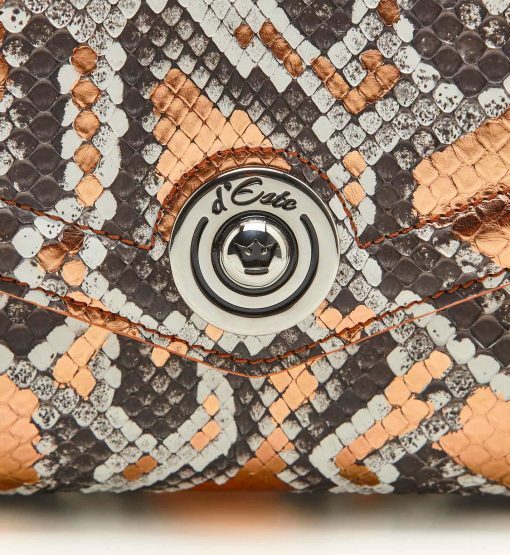 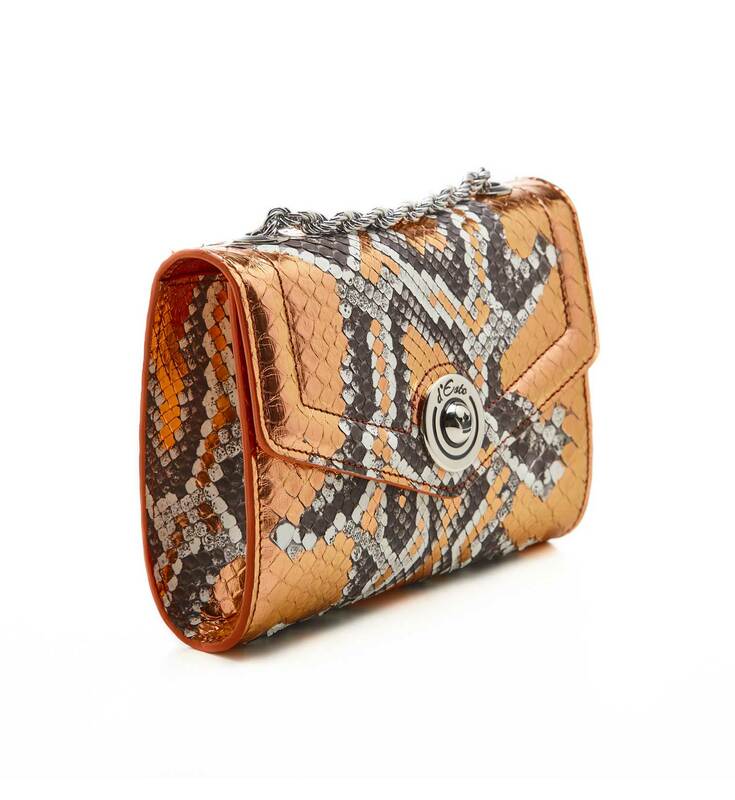 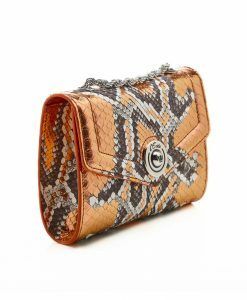 This compact style opens to a beige leather interior that will easily fit your phone, keys and cards. 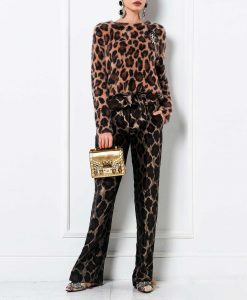 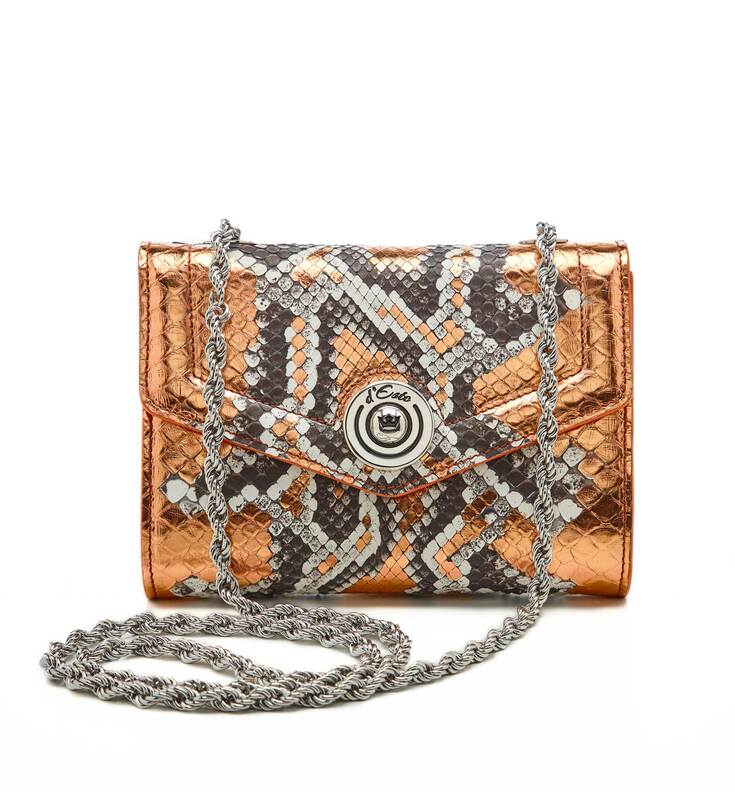 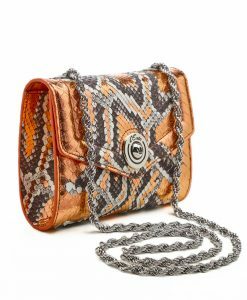 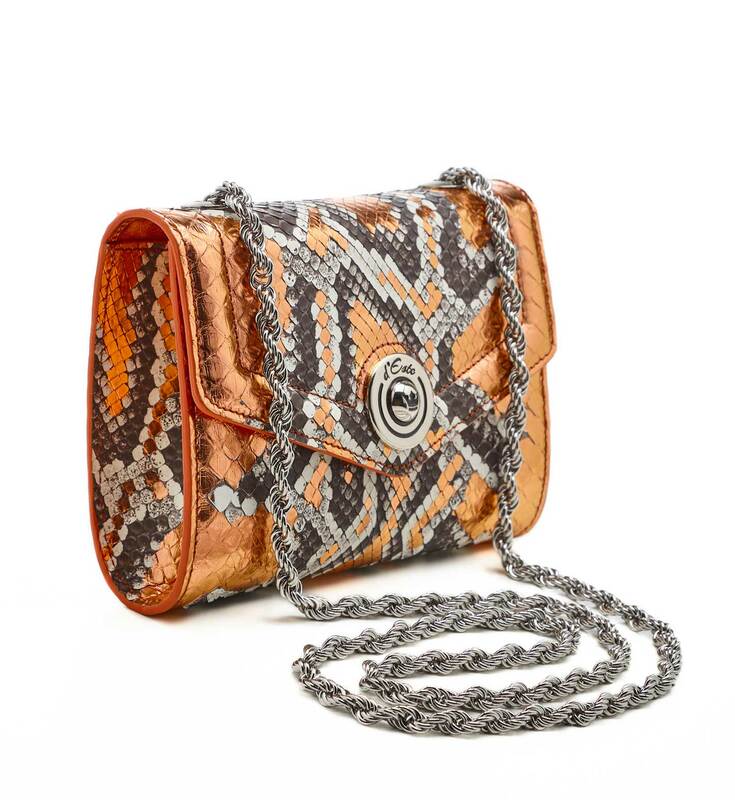 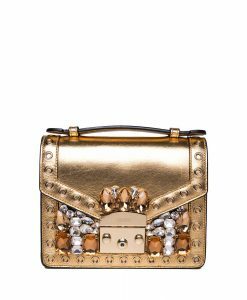 Wear it cross-body or double the chain strap to shorten the drop.